The Other Side blog: Witches are (Still) the New Vampires! A quick pop into RPGNow this afternoon and I noticed this. You have my Green Witch for Swords & Wizardry. My Strange Brew: Magic Items for Pathfinder. And Zenith Games' Paragon Hags. 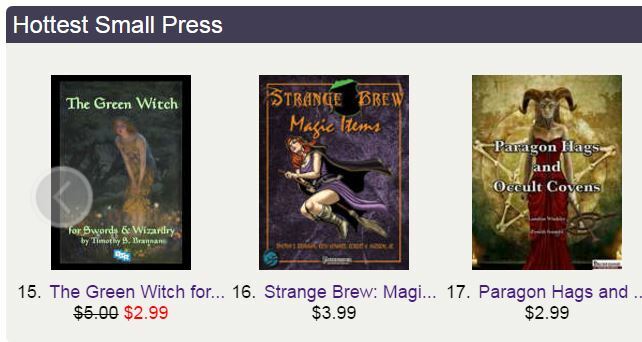 Great time to pick up a new witch book!